The U.S. Centers for Disease Control calls public health “the science of protecting and improving the health of families and communities through promotion of healthy lifestyles, research for disease and injury prevention and detection and control of infectious diseases.” Tragically, prominent public health organizations have betrayed that purpose by embracing abortion and assisted suicide, which not only destroy the life of individuals but have a tremendous and under-recognized impact on the health of communities. Despite ongoing public debate that would benefit from robust statistics, the United States on the whole has a poor record of tracking abortion data – a deficiency CLI urges policymakers to address and aims to improve through quality research. In addition to abortion data, our national systems for monitoring maternal health are in need of major overhaul to ensure that all pregnancy outcomes are measured and incorporated in data readily accessible to researchers everywhere. On October 7, the Charlotte Lozier Institute (CLI) filed two separate comments to the Department of Health and Human Services regarding its proposed rule on entities qualifying for the government’s Title X family planning funds. Nora Sullivan, M.P.A | August 22, 2016. Late Friday, it was announced that leading United Kingdom abortion agency Marie Stopes International will suspend a significant percent of abortion procedures following a surprise inspection by the Care Quality Commission (CQC), the independent regulator of health and social care in England. Charles A. “Chuck” Donovan | May 24, 2016. Charlotte Lozier Institute | May 16, 2016. The American Academy of Pediatrics (AAP) has released a statement pertaining to the prevention and management of procedural pain in babies. Pain that newborns experience from routine medical procedures can be significant, especially in premature infants with more intensive health needs. Research suggests that repeated exposure to pain early in life can create changes in brain development and the stress response systems that can last into childhood. 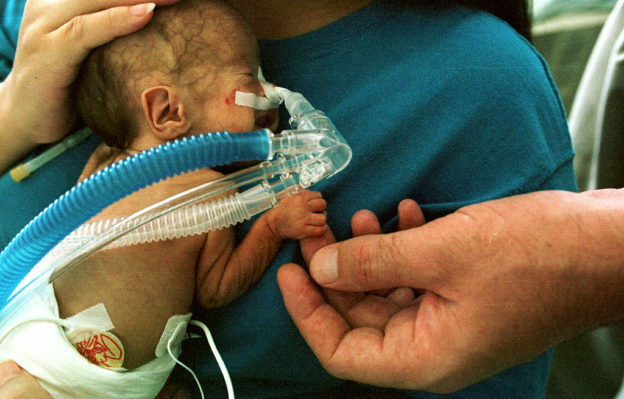 Premature infants are especially at risk. The AAP policy statement recommends that every health facility caring for newborns use strategies to minimize the number of painful procedures performed, and routinely monitor and treat pain with greater emphasis on proven non-drug interventions. The policy statement, “Prevention and Management of Procedural Pain in the Neonate: An Update,” appeared in the February 2016 issue of Pediatrics (published online Jan. 25). Donna Harrison, M.D. | May 13, 2016. Charles A. “Chuck” Donovan | April 26, 2016. Catherine Glenn Foster, J.D., M.A. | April 19, 2016. Genevieve Plaster, M.A. | April 7, 2016. The Minnesota Department of Health publishes an extensive and organized annual abortion report that presents important public health information, including demographic statistics, while protecting the anonymity of women. Additionally, Minnesota reports the volume of abortions performed at each clinic in the state. Minnesota’s abortion trends provide a glimpse of what is happening to the abortion market on a national scale. Similar to national trends, the total number abortions in Minnesota has decreased, one abortion clinic has closed, several have merged, and Planned Parenthood increasingly dominates the market. Charlotte Lozier Institute | March 21, 2016. Today is a very special day for all those living with Down syndrome and for all those who love them. Today is a day to celebrate the special gifts those living with Down syndrome bring to our human family. 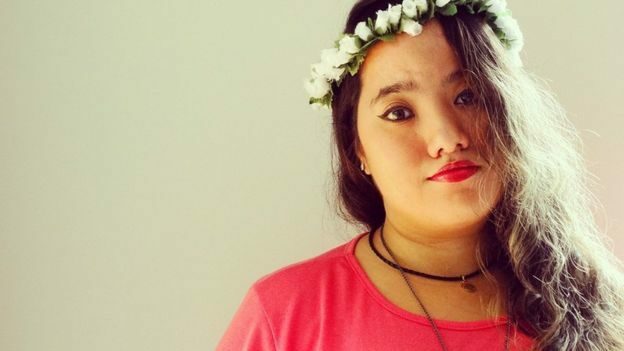 It is also a day to celebrate the progress made from a time when those living with Down syndrome were shunned, feared, and most often hidden away in bleak and often squalid institutions. So much has changed for the better, but there are still many challenges to overcome. Charles A. “Chuck” Donovan | February 29, 2016. Charles A. “Chuck” Donovan | February 5, 2016. 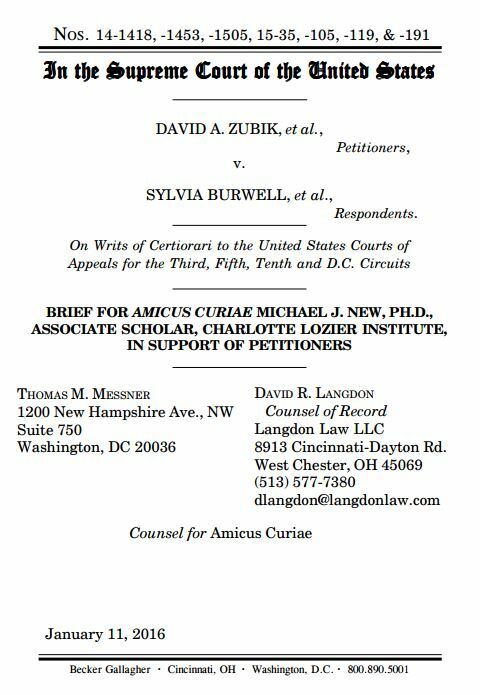 Michael New, Ph.D., an Associate Scholar with the Charlotte Lozier Institute, the education arm of Susan B. Anthony List, submitted an amicus curiae brief yesterday to the U.S. Supreme Court in Zubik v. Burwell and consolidated cases. Charles A. “Chuck” Donovan | January 4, 2016. Rebecca Gonzales | December 14, 2015. An editorial in Nature, one of the world’s leading scientific journals, recently covered the political debate surrounding fetal tissue harvesting and the editors’ perceived threat to this form of research with the defunding of abortion giant, Planned Parenthood. The article, “Fetal tissue research under threat,” was published on December 7th but was corrected soon after on December 8th. Scott E. Daniels, Ph.D. | December 7, 2015. Genevieve Plaster, M.A. | December 1, 2015. Rebecca Gonzales | November 30, 2015. During the Thanksgiving holiday week, the U.S. Centers for Disease Control published its annual abortion surveillance report, revealing a historic decline in the incidence of abortion across the nation since 1973. Lagging three years behind, this year’s report covers the national abortion data for 2012. The abortion data is analyzed from the 47 areas that voluntarily report abortion statistics to the CDC. States that do not report to the CDC include several large jurisdictions – California, New Jersey, the District of Columbia, and Maryland. According to the Guttmacher Institute in 2011, these four were among the jurisdictions with the highest abortion rates in the nation. Genevieve Plaster, M.A., Rebecca Gonzales | October 27, 2015. Donna Harrison, M.D. | October 20, 2015. Charlotte Lozier Institute | October 19, 2015. A few years ago we received a request from a family, whose baby had been a patient in our NICU, to speak with the neonatologist who had cared for their child. I remembered the name vaguely, but was unclear about the circumstances of the encounter, so I had to go way back into the database to find the record. Turns out that the patient was a little boy who had been born extremely premature, and a patient for less than 24 hours before he died. As I recall, those had been some very long hours. He had been born at one hospital, where I was on call, and then transferred to a higher level hospital, where I just happened to be on call the following night. Mom was terribly sick, and too unstable to transfer along with her baby, although the father and some other family members were able to follow the baby to the new location. Charles A. “Chuck” Donovan | September 29, 2015. As debate over the relative capacity of Planned Parenthood clinics and federally qualified health centers has emerged, one element of the argument has focused on funds that may be available to the former to replace certain government grants and reimbursements. CLI examined nine consecutive years of annual reports for the organization and the available information there on “excess of revenue over expenses” is shown below. 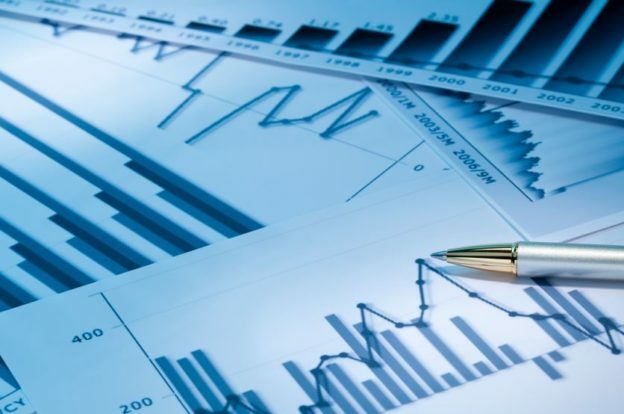 While consistent details on certain financials in these documents are absent, particularly prior to 2008, the annual reports provide a glimpse of the general pattern of net income for the organization over nearly a full decade. This map and state chart depict the number of health clinics that serve low-income, medically under-served populations in the United States in comparison to the number of Planned Parenthood centers. If Planned Parenthood, the nation’s largest abortion provider, were to be defunded from receiving over $500 million in taxpayer funds per year, there already exist over 13,000 non-abortion providing federally qualified health center (FQHC) service sites and rural health clinics (RHCs) that could receive this sum instead and continue to provide comprehensive women’s healthcare. See here for comparisons between the two regarding the number of centers and individuals served by year both nationally and by state. Charlotte Lozier Institute | July 24, 2015. July 26 marks a momentous anniversary for persons with disabilities living in the United States. On that day in 1990, President George H. W. Bush signed into law the Americans with Disabilities Act (ADA), the first legislation of its kind focused solely on prohibiting discrimination against persons with disabilities and mandating that all Americans be accorded equality in pursuing jobs, goods, services and other opportunities. The ADA has radically improved the lives of those living with disabilities over the last 25 years, especially in the areas of accessibility, education, and employment. However, laws can only protect individuals from institutionalized discrimination. Twenty-five years later, forms of discrimination can still be seen to a greater or lesser extent in American societal attitudes – perhaps even more so in attitudes toward and fears about those with mental illness and intellectual disabilities. Rebecca Gonzales | July 1, 2015. According to Americans United for Life, Nebraska is ranked in the top 10 best states for life. Therefore, it comes as no surprise that Nebraska publishes a timely and extensive annual abortion report revealing a 4.3 percent decrease in abortions from 2013 to 2014. Nebraska’s report includes a wealth of unique data. Not only does Nebraska report the common patient demographics such as age, race, and education level, but Nebraska’s report presents detailed information that other states often neglect to report. For example, Nebraska reports the number of abortions per month and the reason given for those abortions. Additionally, Nebraska’s report reveals the ancestry of patients, the length and weight of the fetus, and the patient’s gravidity. Rebecca Gonzales | June 29, 2015. 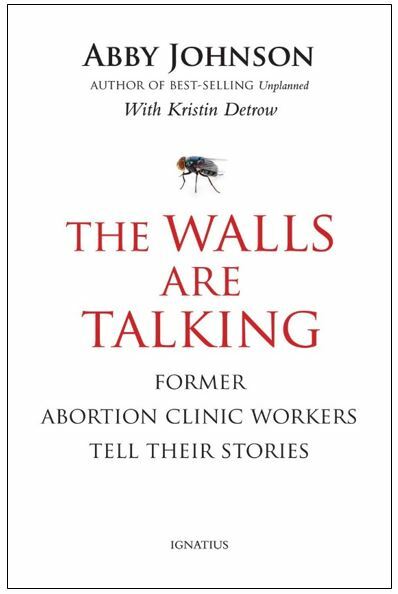 Editor’s Note: In 2012 CLI published a lengthy paper summarizing the strengths and weaknesses of federal and state abortion reporting policies and practices. Beginning with this overview of the state of Idaho’s latest published report, CLI is reexamining these policies and practices, looking forward to an update of the 2012 report with more comprehensive evaluations of the states and recommendations for specific improvements. As these overviews will make clear, the quality of state reports does not depend on the political composition, size, or budgets of the various states. The information contained in these documents is of surpassing public interest and enhanced efforts are within the reach of even the smallest government units in this age of the Internet. Michael J. New, Ph.D. | June 25, 2015. 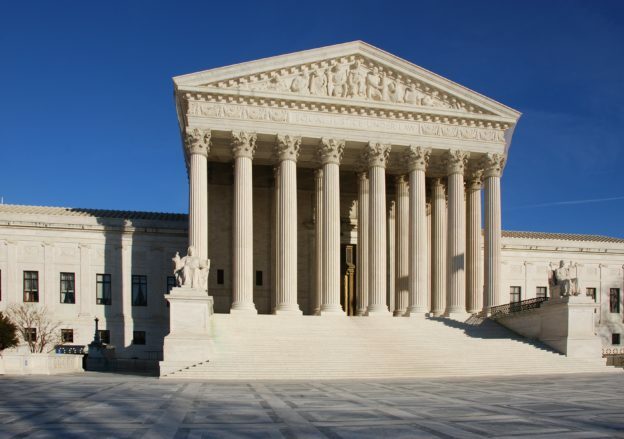 Pro-lifers received some disappointing news last Friday when the Iowa Supreme Court unanimously struck down Iowa’s telemed abortion ban. In 2013, the Iowa Board of Medicine issued administrative regulations that required physicians to perform in-person examinations (rather than webcam consults) on women before prescribing abortion-inducing drugs. These regulations would have effectively banned the webcam abortion practice in Iowa, in which a woman could receive the abortion-inducing drugs through a remote-controlled drawer after speaking to a doctor via webcam. However, these administrative rules set off a flurry of legal challenges. In August 2014, a Polk County District Court judge ruled to uphold the ban. However, in September the Iowa Supreme Court issued a stay on the decision, allowing telemed abortions to continue. Genevieve Plaster, M.A. | June 19, 2015. Genevieve Plaster, M.A. | June 1, 2015. Rebecca Gonzales | May 27, 2015. Abortion is one of the most highly debated political topics, and is almost always in the national spotlight. 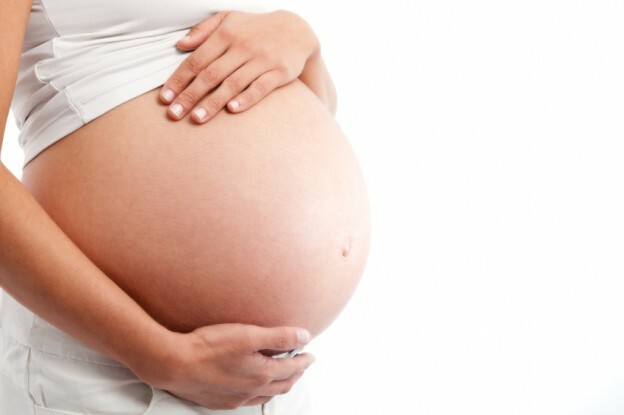 There were an estimated 1.1 million abortions in the United States in 2011. If historical trends continue, it is estimated that by age 45, roughly 26 percent of American women will have had an abortion. Therefore, abortion, and abortion policies impact millions of women’s lives every day. Consequently, abortion policy must be grounded on the most accurate, comprehensive and up-to-date statistical information and health data. Unfortunately, after 42 years and over 55 million abortions since the Roe v. Wade decision, our country still doesn’t have a timely and streamlined system to report and publish state abortion records. Charlotte Lozier Institute | May 13, 2015. 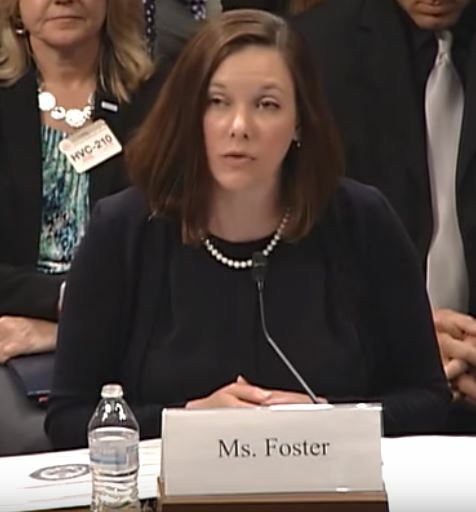 Washington, D.C. – This morning the Charlotte Lozier Institute (CLI), the education and research arm of the national pro-life group Susan B. Anthony List, published a new paper examining how expansion of the Medicaid program in Alaska will significantly increase the number of abortions in the state. The analysis comes as the Alaska legislature considers a law that would expand Medicaid enrollment. Charlotte Lozier Institute | May 5, 2015. In Yunnan: All villagers will be sterilized once a single villager violates the birth quota. In Sichuan: Anyone avoiding sterilization must be put in custody; anyone avoiding sterilization must be punished by bulldozing their house; anyone avoiding abortion shall surrender their cattle and house. As an increasing number of states weigh the legalization of physician-assisted suicide, a new paper released by the Charlotte Lozier Institute (CLI) elaborates the arguments against the practice, citing numerous abuses. Award-winning author Wesley J. Smith examines how assisted suicide impacts the states and countries where it has been legalized, particularly legalization’s effect on medical ethics and patient care. In the United States as of March 2015, numerous bills to legalize assisted suicide have been introduced into as many as 25 state legislatures. In this timely paper, Wesley J. Smith examines the subject of assisted suicide and demonstrates how it is distinct from other medical end-of-life care. The paper outlines in detail the abuses of legal assisted suicide and euthanasia laws in the Netherlands, Belgium, Switzerland as well as in the state of Oregon.